The follow photo is carton box of Complex PVC floor & Rubber floor. 1 Carton = 1.5 m2 = 16.15 ft2 = 11 pcs of Complex PVC floor & Rubber floor. 1 m2 = 7 pcs of Complex PVC floor & Rubber floor. 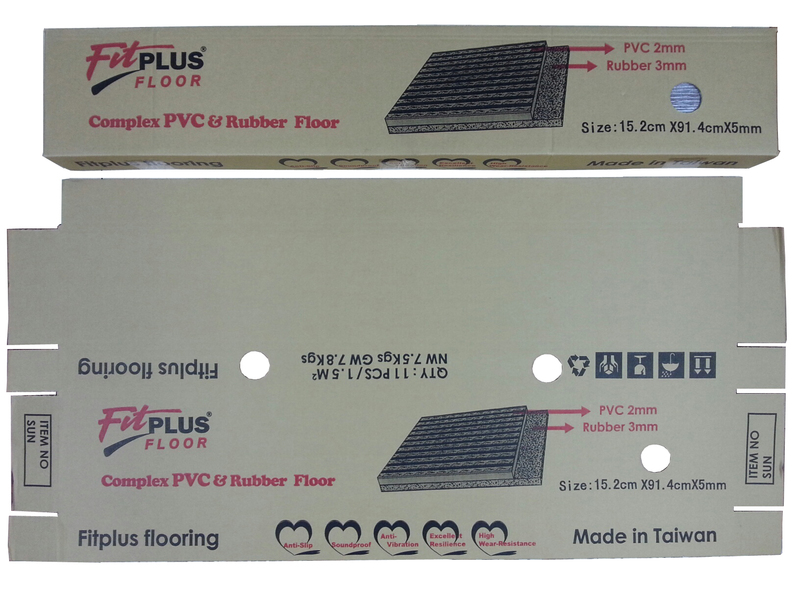 1 ft2 = 75 pcs of Complex PPVC floor & Rubber floor.